Ian enjoys leading an excellent team of expert and approachable lawyers and their dedicated assistants who provide specialist advice to individuals and families. Ian is a Solicitor and Partner at Bennett Griffin. Ian is the head of the Private Client team which comprises the Wills, Trusts and Probate and Care, Capacity and Court of Protection teams. Ian specialises in contingency planning for life, and in particular, responding to health crises and the often dramatic impact that can have on the individual and their family and their business interests. 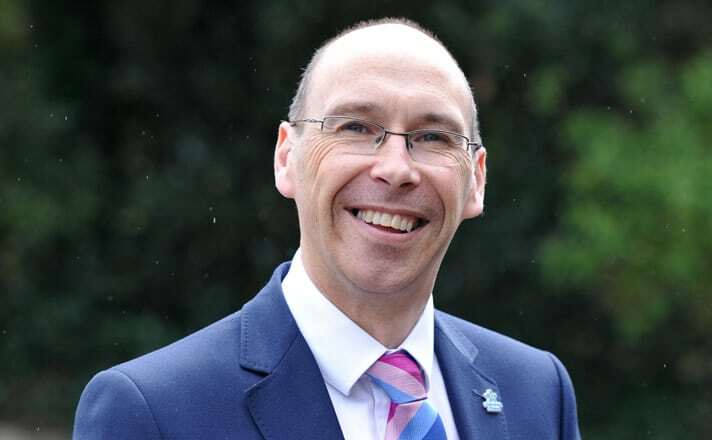 Ian is a full member of the prestigious STEP (Society of Trust and Estate Practitioners), a full member of SFE (Solicitors for the Elderly) and a Dementia Friend. He is also one of only 71 Panel Deputies approved by the Court of Protection to manage the legal and financial affairs of individuals who have lost capacity and are at risk and who don’t have a Power of Attorney or have previously had unsuitable Attorney’s or Deputies. Ian and his team work hard to go the extra mile for their clients and provide them with an exceptional service. Ian is proud to be a ‘Dementia Friend’ and has taken his team, and subsequently the firm, through the training to become Dementia Friends. The Dementia Friends programme is an initiative from the Alzheimer’s Society which allows people to learn a little bit more about what it’s like to live with dementia and then turns that understanding into action. Ian has always lived in Worthing and has a family who share his passion for the outdoors. When is he not running, travelling or playing golf, he enjoys reading and art. Defeating an application to register an Enduring Power of Attorney when there were grave concerns about the suitability of the Attorney and whether they were acting in the best interests of the vulnerable client. This resulted in an independent Deputy being appointed and provided the concerned family with some reassurance that their mother’s best interests would be protected. Advice for a couple who were both married for the second time was to how they could provide for each other but also ensure that they would each make provision for their respective children from their previous relationship. Advice for an unmarried couple with significant assets to potentially save significant Inheritance Tax on the first of them to pass away. Powers of Attorney (General, Enduring, Lasting Property and Affairs, Lasting Health and Welfare – prepare these when you are fit and well in case you face a crisis of health in the future). Court of Protection (where someone lacks capacity and is vulnerable but has not completed an appropriate Power of Attorney – applications for Deputyship, acting as Deputy, application for specific decisions, objecting to an application for the Registration of a Power of Attorney). Advance Decisions/Directives/Living Wills (how best to express your wishes about your future treatment and health care – there are an number of options and we can help you select the most appropriate for you). Probate Administration services (as much or as little advice and assistance as the Executors require – checking IHT forms, Applying for the Grant, as well as a complete service – we are here to help, particularly on the technical issues such as tax etc). Advice to Executors (highlighting your personal duties and potential liabilities, advice on how to progress the administration, how to address any difficulties with Beneficiaries etc). Advice to Beneficiaries (if you have concerns about the administration of the estate by the executors or their Terms and charges, or concerns that the inheritance may cause your estate to be potentially liable to Inheritance Tax). Wills (be that for clients with children, in a second or subsequent marriage or relationship, with beneficiaries in receipt of benefits, concerns about potential claims against their estate, anticipating potential Inheritance tax, property or assets abroad etc).